In the past fifteen years I’ve read a staggering number of rhyming picture books, and some I’ve read an absurd number of times. I can recite Goodnight Moon in my sleep, and lines from Green Eggs and Ham pop into daily conversation. I’ve found that certain rhyming books are a delight to read for the first, fifth, five hundredth time. While others, when plopped in my hands by an eager child, make me suppress a groan. Some books have been so loathed, I’ve (shamefully) allowed the children to use them as coloring books, while others are so adored I can’t part with them despite covers worn to tatters. So, I set out to study what elements might be common to my most-loved rhyming texts, and how I, as a writer, might use these elements in my own work. Structure or form is, I believe, the most undervalued tool in the poet’s toolbox. Perhaps because it takes a terrible amount of plain, hard work, and in our culture of self-expression, freedom and individuality (not to wax philosophical), the thought of forcing one’s words into regular rhythm and end rhyme may feel like a violation of nature (which is very much false, but that’s another essay). Yet it can be done, and when it’s done well, it can be a marvelous and beautiful thing. Howitt begins the first stanza with the three-syllable anapestic foot, roughly repeating the pattern for three more feet, but cutting the last foot short to end on a stressed syllable. The final two lines begin with the two-syllable iambic, building tension by shortening the line, but again repeat the anapestic to make a two-then-three-syllable pattern that is repeated. Every line ends on a stress, thus carrying the reader on into the next line and, ultimately, the next stanza. And this pattern is continued throughout the poem, yet without torturing the reader with horrid syntax or strained rhyme. The Pigs broke the gate! and he got out the bacon. what we need,” the all agreed. Not only is the language natural, the vocabulary and phrasing are unique to the speaker. Even in rhyme, Bateman’s characters have distinct voices, and nowhere does she sacrifice graceful syntax for the sake of the rhyme. 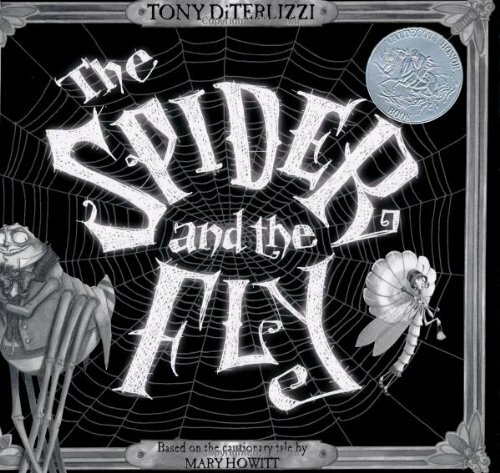 Arnold Lobel’s The Frogs and Toads All Sang and Hoberman’s The Seven Silly Eaters make good use of dialogue as well, while Mrs. McNosh Hangs Up Her Wash does not use any. The ultimate effect for McNosh is a book that feels slight. Dialogue helps a book (any book) feel fully developed; it moves a story told in rhyme beyond mere verse. The third element is that of Surprise. Not surprise in storyline, but rather in unique and unexpected language, particularly in the words chosen for rhyming. 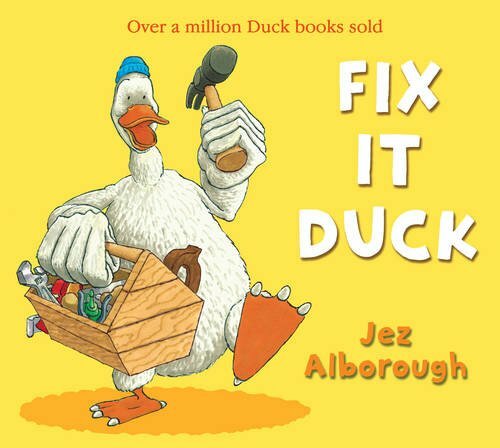 Jez Alborough’s Fix-It Duck earned a mixed review. Many rhymes are commonplace, mundane, thoroughly predictable. Take gap/tap and eye/dry and thin/in. But a few rhyme pairs surprise; curve rhymed with swerve for example is fun and unexpected. Batemen, however, finds stunning rhyming pairs and works them in so naturally that reading her work is a delight. Just a few examples: depressed/guest, agreed/indeed, thought/pot, jamboree/tree, collage/camouflage. Fabulous vocabulary that Bateman works in beautifully. Finally, Story. While form may be undervalued, story is the element most neglected in a rhyming text. Rhyme is the car, story is the road. I can have the most souped-up, tricked-out vehicle ever made, but if my road is full of potholes and washouts nobody is going to enjoy the ride. I think rhyming texts are bound by the same “rule” as any work: every line must drive the story forward. If a line exists only to provide an end rhyme, it’s wasted. 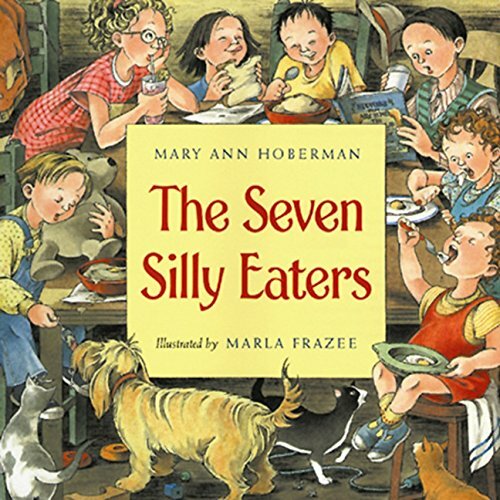 The subtlest, but I believe best example of story is The Seven Silly Eaters. 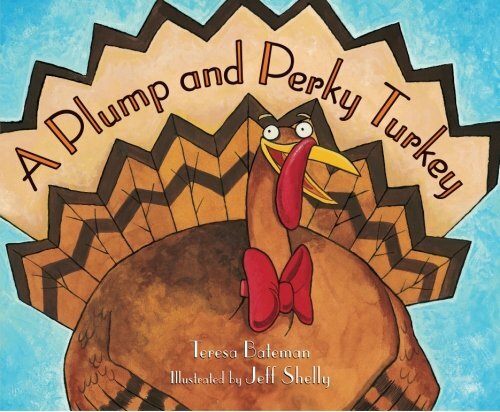 The story follows the birth and growth of Mrs. Peters’ seven fussy eaters, each of whom will eat only one very specific (and labor intensive) item. Below is the introduction of Mrs. Peters’ third child, Jack. At this point in the story she’s already fixing warm milk for Peter and pink lemonade for Lucy. Till he was three and she was two. But all he’d eat was applesauce. And it only gets worse from there. By the time all seven children are born, Mrs. Peters has added to temperate milk, lemonade and applesauce, lumpless oatmeal, homemade bread, and poached and fried eggs. Prepared fresh each and every day. This text works on so many levels. First I have character development—the children physically age, but I also get a sense of each child’s personality. And Mrs. Peters changes as well. Early in the book she greets her children’s persnickety habits with a chuckle and, “What a silly sort of eater is my darling baby Peter,” which changes to a frown as shown above, and finally becomes, “She wiped her brow and heaved a sigh; another year was passing by ... Drearily she shook her head and wearily went up to bed.” Hoberman powerfully shows us that while the little Peters are just as dear, Mother is near her breaking point. Just in time, her children solve the problem, not only of their fussy eating, but of their mother’s fatigue. And all with playful rhyme and regular rhythm. This book illustrates that not all forward movement is plot. Although plot is central, deepening character and establishing setting are also vital and valid reasons to include a rhyme or two. What a daunting challenge. To write a solid story with engaging vocabulary, delightful characters, unique voices, is hard enough. But then to shape it into a rigid form? Clearly, it is possible and well worth the effort. But the truth is, the majority of books flounder between success and failure, where a little more thought given to surprising rhyme, a little more honing of story arc or rhythm could have pushed the book from mediocre to wild success. In any case, Steve Kowit in his poetry handbook, In the Palm of Your Hand, gives a succinct and inspirational lesson in rhyme. 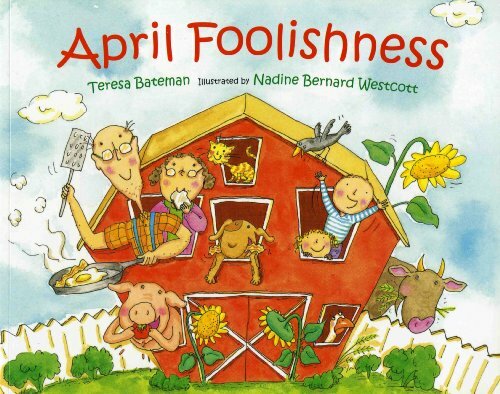 And so, even if my goal is foolishness, as Bateman’s is in April Foolishness, Kowit’s reminder is an important one. Grace, insight, smooth writing, story, all trump end rhyme. Every time. Some affiliate links used in this post.